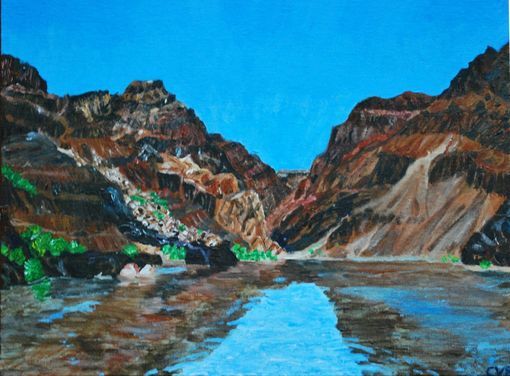 Again, we return to the Grand Canyon, in this piece, which is the smallest of the Grand Canyon series. 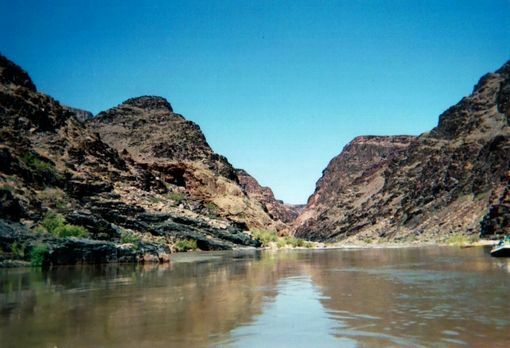 Here, the Colorado river is momentarily calm, and the waters reflect the deep geological time which is laid out in the rocks surrounding the bitterly cold waters at about three PM. I love the Grand Canyon, and I have plans for more paintings of nature's version of the Hagia Sophia in the future, one of the great natural cathedrals. Here, a goodly portion of earth's history is laid bare before the eye to see, and a hand-span can stretch across a billion years. This painting was 10"x12" on canvasboard, and was purchased by a professor of mine. 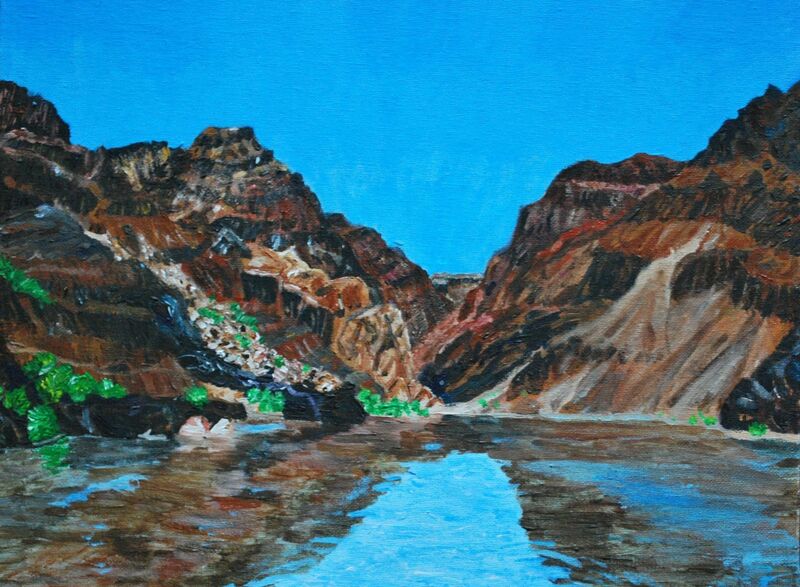 Again, like all of my landscapes (and birds), it has been painted in my own impressionist style.